So we are having a bit of a problem! If you go to Yola.com you will see a rather odd page. This is because we are currently having some problems with our DNS for yola.com. All our hosted sites are fine, however, as their DNS is managed elsewhere. We hope to have this fixed soon. Check here for updates! every time i go onto yola it goes to this. 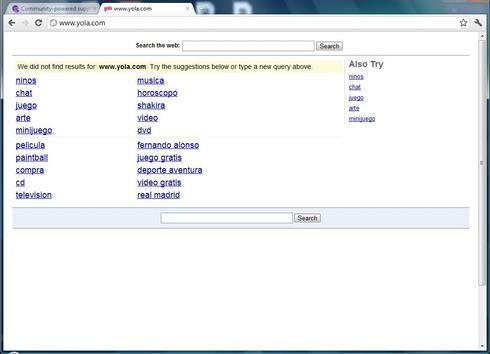 I can view my published websites, however I can't access www.yola.com on Internet Explorer or Safari. It claims it doesn't exist! Can someone help me please, I would be very greatful. Thank you. What has happened to Yola.com, I can't access it?. Why can i not access yola? When I go to yola.com a screen comes up saying it can not be found! Excellent news! The yola.com website is back up. If you still have problems accessing it, please clear your cache. For those of you who were hoping to work on your sites during this time - we are very sorry for the interruption of service. Hopefully all should be back to normal now.